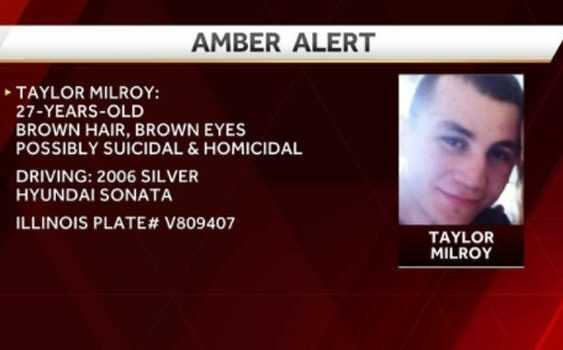 DES MOINES, Iowa — Authorities issued, then cancelled an Amber Alert early Tuesday for two young boys they say were abducted from the eastern Iowa town of Toronto, in Clinton County, reports CBS Des Moines affiliate KCCI-TV. They were looking for a silver 2006 4-door Hyundai with an Illinois license plate. Authorities were seeking Jason Taylor Milroy, who was described as a 27-year-old male, 5’8, 135 pounds, with brown hair and brown eyes. He’s not the boys’ custodial parent, according to the Des Moines Register. The boys were found and were safe, KCCI said, but there was no early word on the fate of Jason Milroy. Investigators told the Register the boys may have been taken to the Colona, Illinois, area.